Hong Kong SPCA x Squly & Friends special edition canvas pouch. Part of proceeds will be donated to HKSPCA. 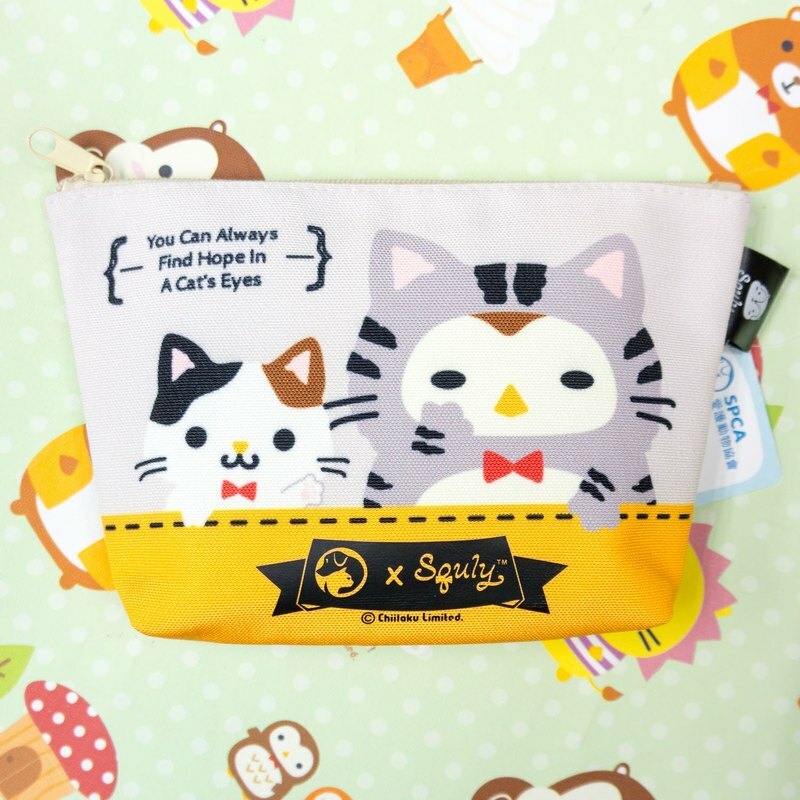 Hong Kong SPCA x Squly & Friends special edition canvas pouch. Part of proceeds will be donated to HKSPCA. High quality canvas colour with adorable Owlly posing as a cat, to bring out the message of love pets. Can be pen bag, cosmetic bag, accessories bag, travel bag, etc. Size: 8.5(W) X 5.5(H) X Base 1.5(D) inches. Net weight (with box): 51g Shipping weight: 90g Squly & Friends is Champion of 2014 Comic World Hong Kong 38 Original Character Design Competition. Remarks: Free Shipping: Will ship out with Surface Mail, No Tracking Number, Buyer Bear the Risk of Lost. Optional: We can ship with Air-Mail or Express, please mark it when place order or contact us for more detail.